People have been drinking ginger -- in one form or another -- for centuries, but it's experienced quite the renaissance in recent years thanks to a renewed interest in classic cocktails along with an increased affinity for all things bubbly and fermented. 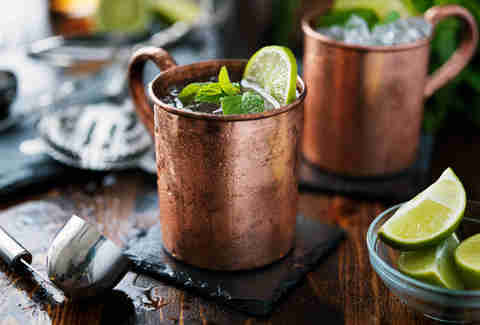 Sure, we’ve all heard of ginger beer and sipped on a Moscow Mule before, but there is still a remarkable amount people don't understand about it. Let's remedy that! 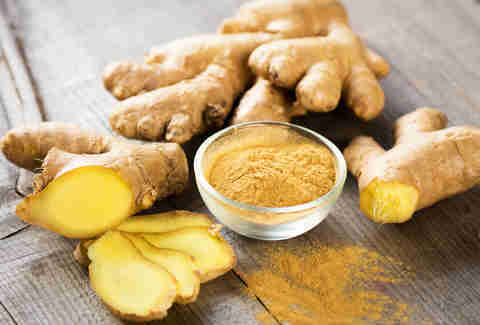 Ginger is one of the oldest spices in existence, dating back to first century Southeast Asia as a popular ailment healer (it has anti-inflammatory, stomach-soothing properties and aids digestion). Before long, England began exporting ginger beer to the US. Eventually ginger beer took hold and breweries began producing it en masse, but then that whole pesky Prohibition thing happened… and ginger beer was replaced with non-alcoholic soft drinks. Its memory faded for a while, but in today’s non-Prohibited America, this gingery delight of a beverage is back (and has evolved) in a big way. Is ginger beer… actually beer? The short answer: not at all. Back in the day, the Brits made the original ginger beer by mixing water, sugar, ginger, other optional ingredients (lemon juice, cream of tartar), and Lactobacillus bacteria (aka, ginger beer plant or GBP), then leaving it to ferment for a few days, converting some of the sugar into alcohol (11% or less). Now, today’s ginger beer that we know, love, and drink is arguably even less of a beer. Many ginger beers on the market contain 0.5% alcohol or less -- which meets FDA requirements to be classified as a non-alcoholic beverage. If you feel duped, don’t fret: There are some delicious alcoholic ginger beers still out there today (we’ll get to that in a bit). Ginger beer vs. ginger ale: What’s the difference? 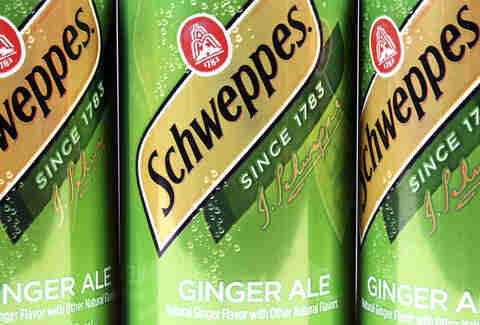 Ginger ale (always non-alcoholic) allegedly dates back to Ireland in 1851, and was then reinvented in 1907 by a Canadian fellow named John McLaughlin -- aka, Canada Dry. Are the two beverages related? 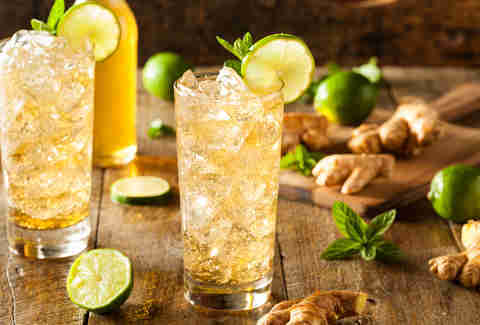 Ginger beer is ginger ale’s zesty, fun-loving cousin who rolls its Rs when it speaks and kickboxes regularly; its complex flavor has a kick of spice that’s much more robust than its cousin-next-door ginger ale, but still boasts a natural sweetness. Ginger ales come in a range of traditional and alternative flavors, while ginger beer, even the flavored ones, usually fall on the side of pungent and citrus-y. They can both be enjoyed alone or as cocktail mixers (again, we’ll get to that in a minute). While both are typically considered soft drinks, a true ginger beer is fermented, while ginger ale is just carbonated water flavored with ginger syrup. Thanks to ginger beer’s fermentation, it tends to be less fizzy than ginger ale and can even form a head when poured into a glass -- which is plausibly the one and only way it’s earned its “beer” moniker. When you sip a cocktail featuring ginger beer as an ingredient, you know it right away. It’s deeply flavorful and almost warm and tingly at the back of your throat before you swallow. If you’re sick of your typical (read: boring) vodka soda, try your hand at making a simply energizing cocktail with a gingery kick. Remember, always mix a carbonated ginger beer cocktail by stirring -- shaking will result in you wearing your drink. This 100-year-old Bermudian classic invigorates your palate year round. The refreshing vodka buck that first popularized vodka in the US during the 1940s. Give your usual marg a makeover that’s zippy without being overpowering. Crabbie’s Ginger Beer: Originating from Scotland, this alcoholic drink is made with ginger that’s been cold-steeped for six weeks plus four secret ingredients (we don’t know what those are, but the result is delicious). For ginger beer with a fruity spin, dabble in their Spiced Orange and Raspberry flavors. Artisan Beverage Cooperative Ginger Libation: Get buzzing on this bubbly ginger beer (9% ABV) that boasts tropical pineapple, lemon, and lime flavors; the pleasant sweetness balances out the zingy ginger. Plus, all ingredients are organic and fair trade. Brookvale Union Ginger Beer: An Aussie refreshment that’s 4% ABV and simultaneously mild and spicy. You’ll get hints of lemon and a smooth finish that honestly hits the spot when it’s too late in the year to be sipping summer shandies. Willie’s Superbrew Craft Ginger Beer: Recently rebranded and somewhere between a hard cider and a spiked seltzer, this Rhode Island-born beverage is all about natural, superfood ingredients like lemon and nutmeg for a touch of earthy character. Try all three flavors: Sparkling Ginger, Lemon, and Pomegranate & Acai. Fever-Tree Premium Ginger Beer: This ginger beer’s subtle sweetness and deep pull of flavor comes from a unique blend of gingers from Nigeria, Cochin, and the Ivory Coast. There’s also a Refreshingly Light option, which is low-cal and still packs a punch. Fentimans Ginger Beer: Brewed using the traditional method, here’s a kick-y, complex ginger beer crafted with natural ginger root. Enjoy it as a cocktail mixer, or alone over ice with two lime wedges. Q Ginger Beer: This extra-carbonated ginger beer is made for mixing (and only mixing). With ingredients like organic agave, chili peppers, lime, coriander, and cardamom, you get a clean, complex taste that’s less sweet and a touch zippy. Barritts Ginger Beer: A Bermudan brand offering options galore (all of which are gluten-free). 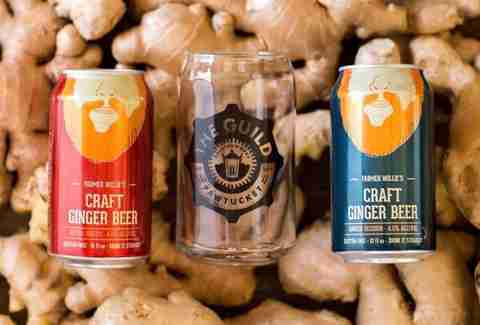 Their ginger beer cans are sweetened with corn syrup, while the twist-off bottles are sweetened with cane sugar. If you’re watching your waistline, their diet ginger beers still made a vodka or rum buck worth enjoying. Old Jamaica Ginger Beer: Going way back to its (ginger) roots, this beverage is made with that authentic Jamaican ginger flavor; so as history tells us, it’s naturally the best-selling ginger beer in the UK. 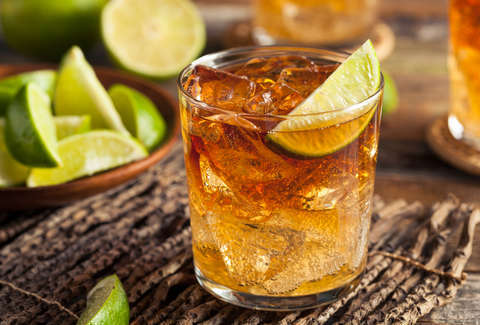 It’s crisp, refreshing, and yeah mon -- it makes one hell of a dark ’n stormy. Brooke Sager is a contributing writer for Thrillist who loves ginger beer, ginger ale, and ginger men. Follow her moscow-muled adventures on on Instagram and Twitter.